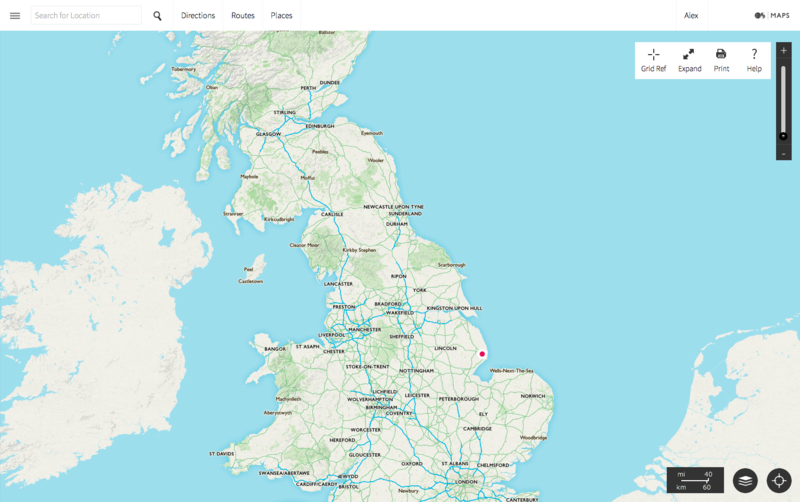 Inspired by Gilad Nachmani’s recent article on home-printing your own OS maps, I decided to give it a go. I think it’s a viable and affordable option, with a few caveats. 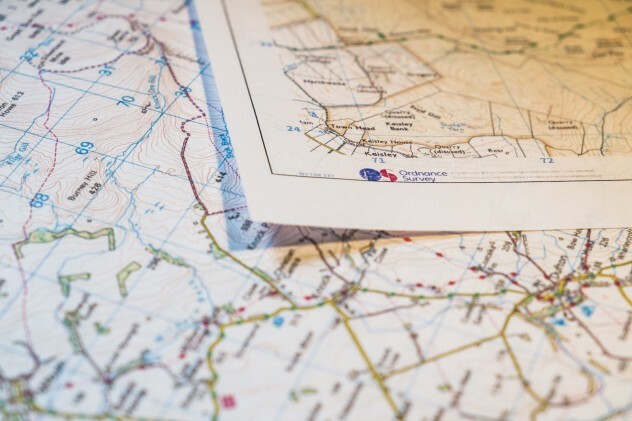 Until recently, there were only two mainstream ways of getting maps for the outdoors: buy a purpose-made printed map, or use digital mapping. Digital mapping has come on by leaps and bounds but is still not a complete replacement for a traditional paper map, as I concluded in this recent article. Therefore, the question is: what is the best kind of printed mapping for your requirements? Traditional Ordnance Survey or Harvey maps are still great, but they aren’t perfect for every situation. They can be quite expensive, paper maps are not wateproof or particularly durable1, and you are limited to the fixed areas dictated by the mapping company2. What if you could cheaply print off your own maps at home? I was interested to discover that the Ordnance Survey has started to offer this service, and Gilad’s article linked above prompted me to try it out for myself. £17.95 for an automatically renewing yearly subscription. In exchange for this fee, the subscriber gains access to complete OS mapping of the entire UK at 1:25,000 and 1:50,000 scales, plus the ability to print out unlimited maps for personal use. If you do a lot of hiking, or go to many different areas over the course of a year, I’m sure you’ll agree that this is absolutely fantastic value. With standard paper OS maps now costing £8.99 per sheet, the potential for savings is huge. I decided to sign up for the yearly subscription right away. After creating your account and signing in, you’re presented with a simple web app featuring a number of controls around the central mapping area. It’s similar to Viewranger’s web interface, but considerably simpler. At first I wasn’t sure how to access the Landranger and Explorer mapping, because using the zoom slider will zoom all the way in with the OS’s new ‘Standard’ mapping. ‘Standard’ mapping includes contour information and is better than – say – Google Maps, but is nowhere near as detailed as traditional OS mapping. 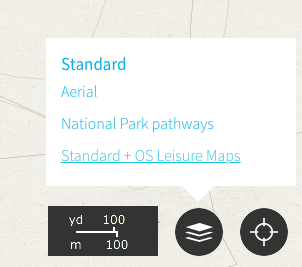 In order to access 1:50,000 or 1:25,000 traditional mapping you need to click the ‘Layers’ button and select the ‘Standard + OS Leisure Maps’ layer. Now you can access leisure maps for anywhere in the UK at your scale of choice, and it really works. I was even able to import a GPX file created in Viewranger, and another in Garmin Basecamp; both imported flawlessly, and there’s a very clear overview pane for imported (or created) routes. Actually creating a route in OS Maps is a little less refined than in Viewranger, and I’m not sure how useful the ‘estimated time’ metric is, but it gets the job done. When you want to print out a sheet, it’s best to set the scale first then click the ‘Print’ button. The important thing to remember here is to make sure that ‘Print map to scale’ is checked. If you have a GPX route selected, you are given the option of printing out a ‘route card’ with waypoints and other data (likely to be of limited use for most people). It’s actually a good idea to deselect the route before printing unless you want your trail to be obscured by a massive green line. Although Gilad recommends using a laser printer in his article, I was able to achieve crisp, 300dpi printouts on my home inkjet printer – just as good as ‘proper’ OS maps. So far I’ve only used standard inkjet paper but it’s easy to laminate these sheets, or even print on commercially available waterproof A4 paper. OS Maps is relatively new, so it is by no means without problems. At first, I couldn’t print out maps at perfectly accurate scale. Even when selecting ‘Print map to scale’ in the printing window, 1:50,000 maps would come out at 18 or 19mm per kilometre instead of 20mm per kilometre, which is of course useless for serious navigation. 25K maps were out by an even larger degree. I tried messing around with margins but was unable to get a 100% fit. After emailing Ordnance Survey, I was advised to try using a different web browser (my usual browser of choice is Safari). Downloading Chrome seemed to solve the issue; using the default printing dialogue in Chrome, I was able to achieve 100% perfect scale every time. However, I wanted to be able to export maps to PDF using OS X’s built-in ‘open in Preview’ feature. For some reason this still results in off-scale maps, even when using Chrome. I’ve reached out to the Ordnance Survey on this issue but have yet to receive a response. For now I’m content to be able to print off maps from the browser, but in the long term I would like to save my own PDF maps for future printing. I’m confident that this issue will eventually be fixed as bugs are ironed out. The web app is quite basic in terms of route editing, and is nowhere near as feature-rich as the established Viewranger service. There appears to be no way of creating intermediate track points between two existing points, for example, which is a fairly basic feature well supported in every other competing platform. I was also frustrated at how often the system would silently log me out and then demand a password before allowing me to print another map. 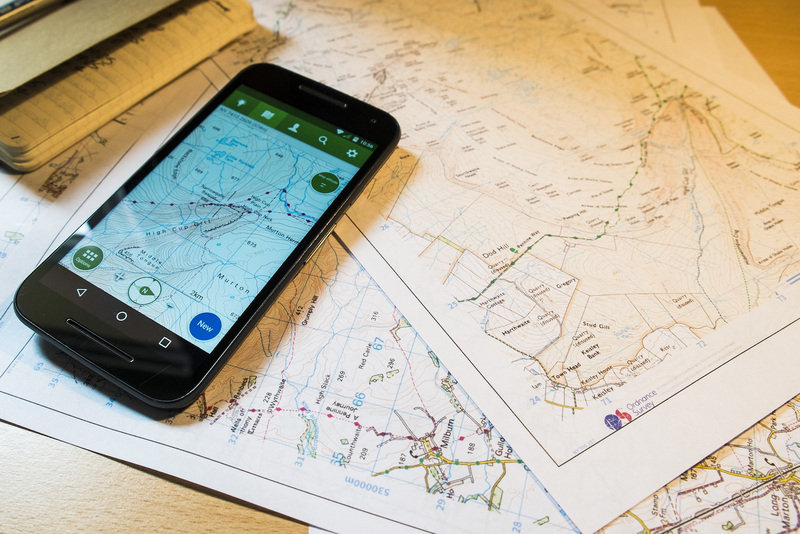 Something else to bear in mind is that, although the Ordnance Survey offers mobile companion apps, they are almost unusable in their current state. The Android app is slow, crashes often, and cannot be installed on removable media – a deal-breaker given that most users will be downloading multiple gigabytes of content. Downloading offline maps is an extremely confusing process, too. Until it’s completely overhauled, with support for removable storage, I can’t recommend it. I also downloaded the iPad app but found it almost as bad. Both apps have received many one-star reviews on their respective app stores. 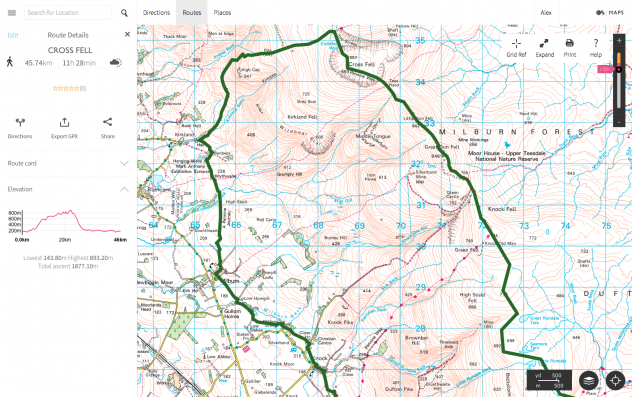 Despite some notable flaws, OS Maps offers a convenient and affordable solution to home-printing your own maps. The advantages are obvious. If you get through a lot of mapping it’s drastically cheaper than buying off-the-shelf maps, you get to precisely tailor your map coverage, and you won’t find yourself carrying paper you don’t need. Individual maps become effectively disposable, which is a big deal on a long-distance walk. I won’t be using print-on-demand OS mapping for everything, but the system works well even in its current early state, and I think any serious outdoor enthusiast should check it out. Disclaimer: I have no relationship with the Ordnance Survey.